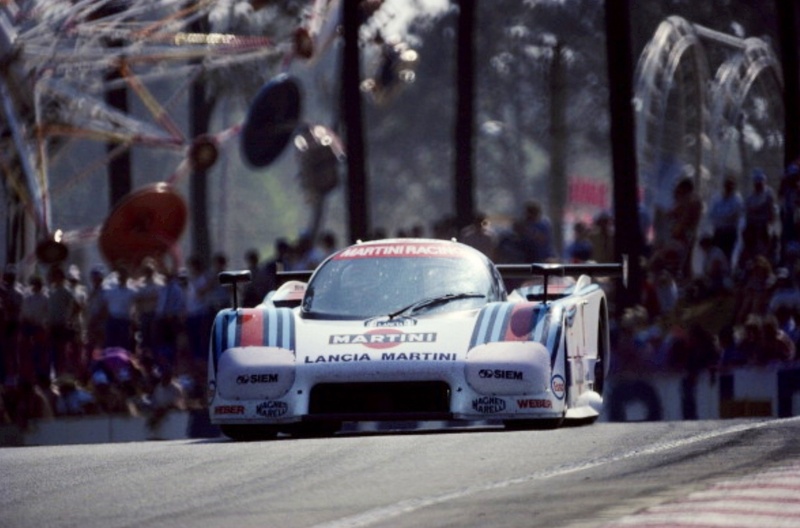 The aluminium monocoque car was powered by a Ferrari 308C V8 and finished in 8th place, his co-driver Sandro Nannini, the best placed of the Lancias 34 laps behind the winning Porsche 956B of Klaus Ludwig and Henri Pescarolo. 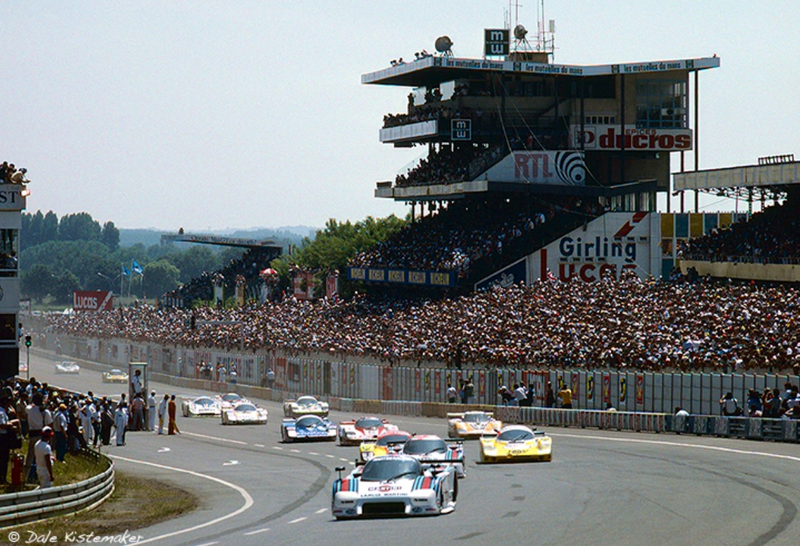 The dominance of the 956/962 extended into the early 1990’s. 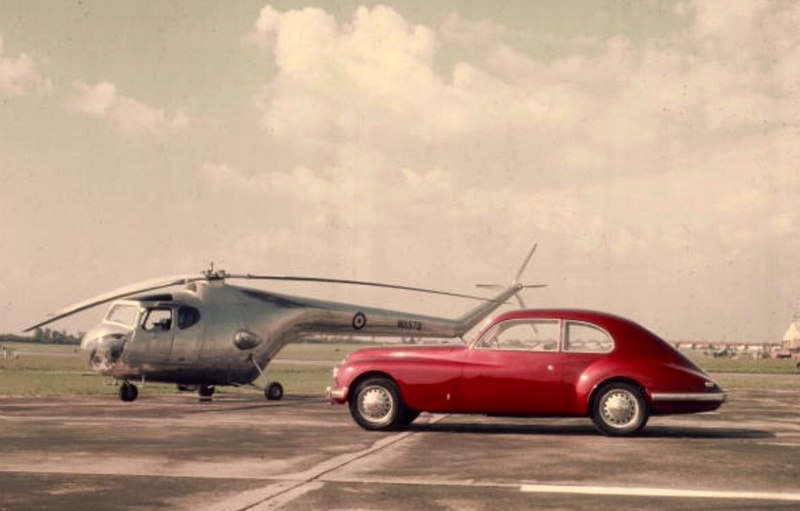 After the 1955 grand prix season Lancia couldn’t afford its motor racing program, in fact Gianni Lancia lost control of the family company as a result of his profligacy! 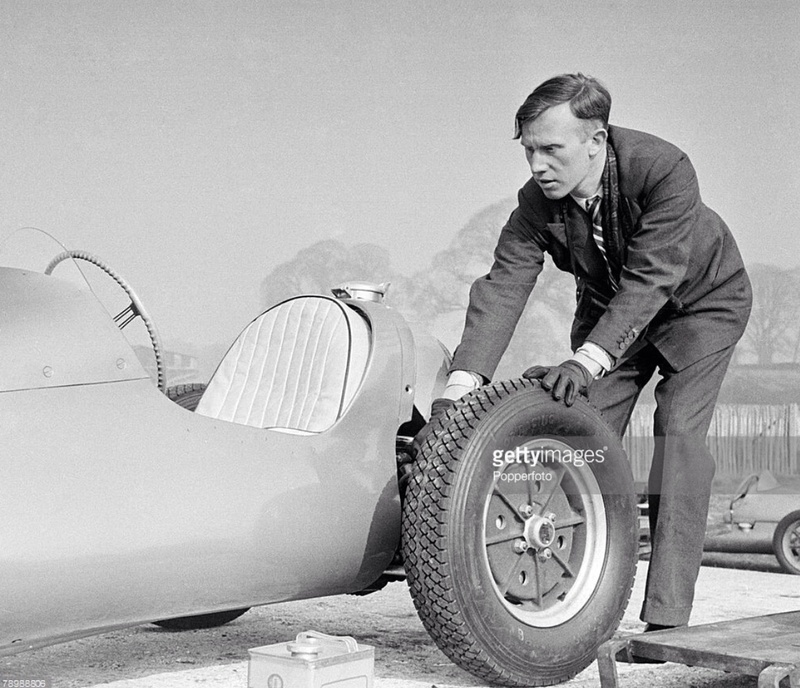 He and Vittorio Jano built some of the most fabulous racing racers ever built, he just couldn’t afford to do so! 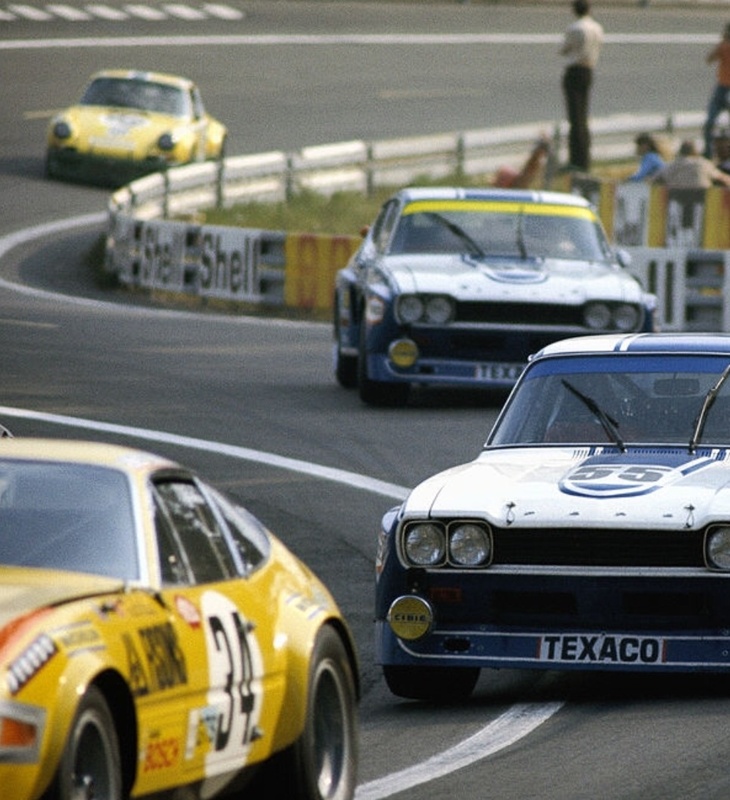 Lancia competed with great success in rallying with its Fulvia and later fabulous Stratos’ in the 1960 and 1970’s. 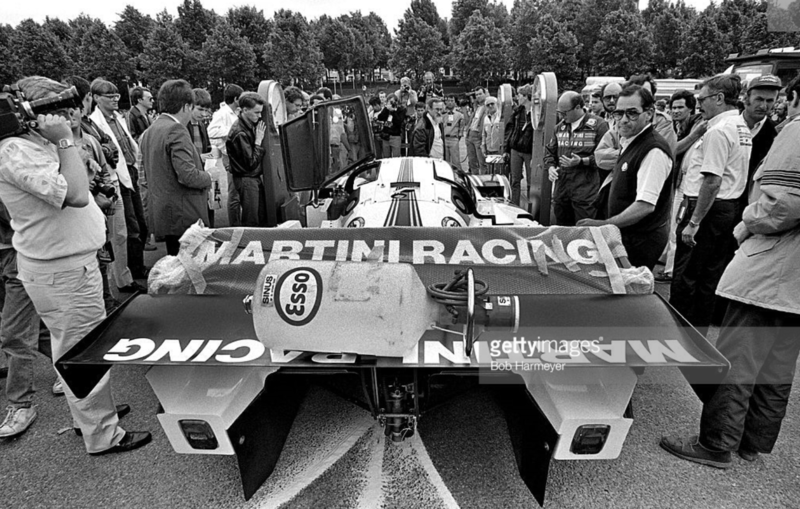 For 1982 Lancia decided to contest the outright class getting Gianpaulo Dallara to design a ground-effect, aluminium monocoque racer powered by a race variant of Ferrari’s 308QV engine, the 4 valve V8 fitted to its Dino road car. Fitted with 2 KKK turbo’s and Marelli fuel injection the Abarth developed 84X68mm, 3014cc V8 developed circa 800bhp @ 8800rpm. 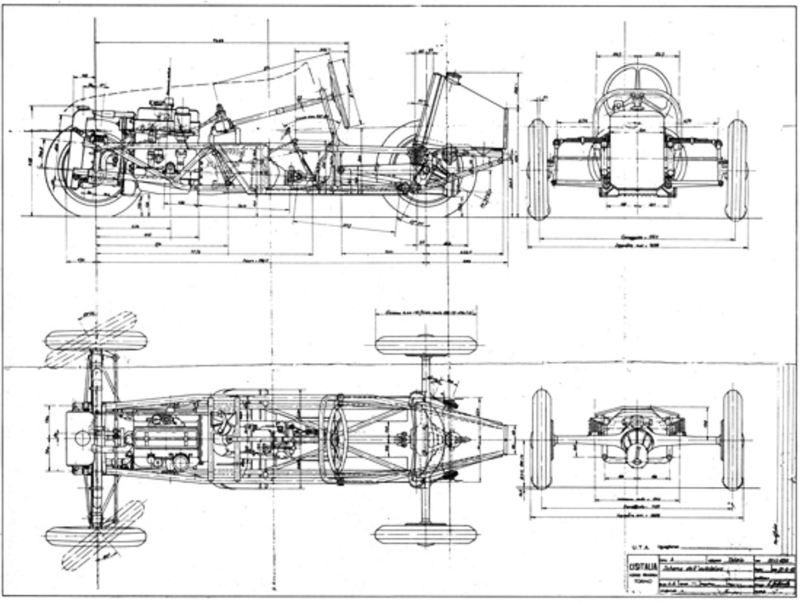 Suspension was conventional wishbones, coil spring/dampers and adjustable roll bar front and rear. 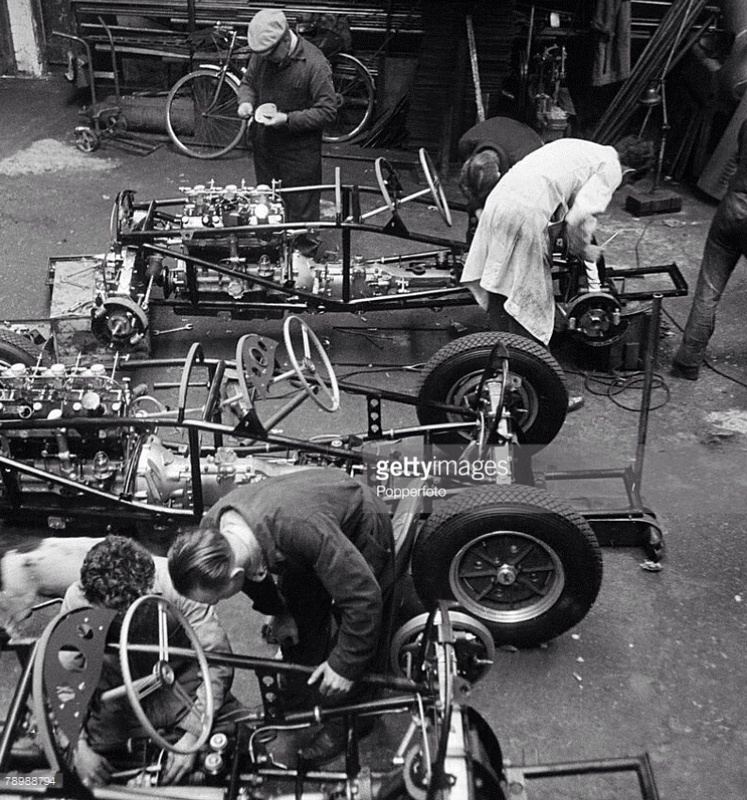 Brakes were cast iron discs, the gearbox a Hewland 5 speed. 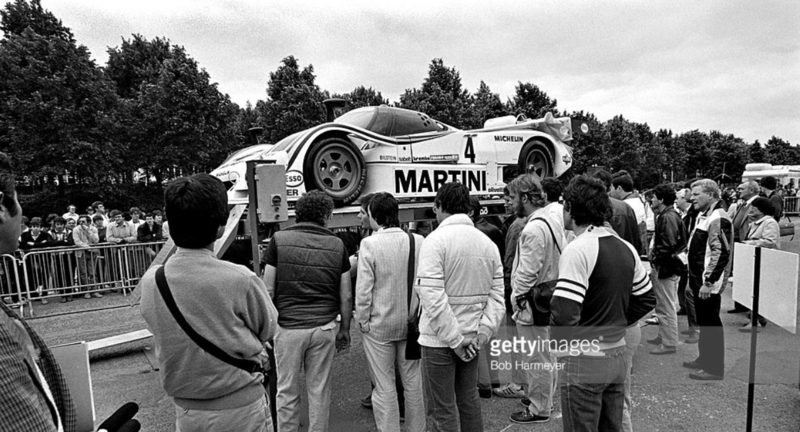 Porsche developed a stranglehold on Group C with a combination of the speed of its works 956/962’s and a vast array of customers, Porsche masters of the ‘customer racing car art’ won with the 956 from ’82-85, with the 962 in 1986/7 and then with the Dauer 962 in 1994. Quite a run of success. 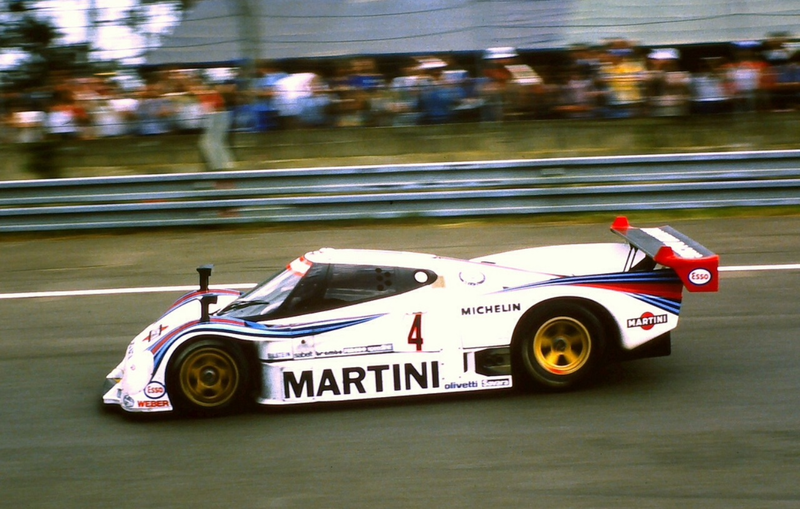 Lancia’s best chance at Le Mans during the three years they raced the cars was in 1984; Porsche was having a spat with the ACO over fuel regulations and boycotted the race but 7 private 956’ were in front of the Lancias at the finish… Wollek set the fastest race lap but he and Nannini had gearbox troubles during the race which slowed them significantly. 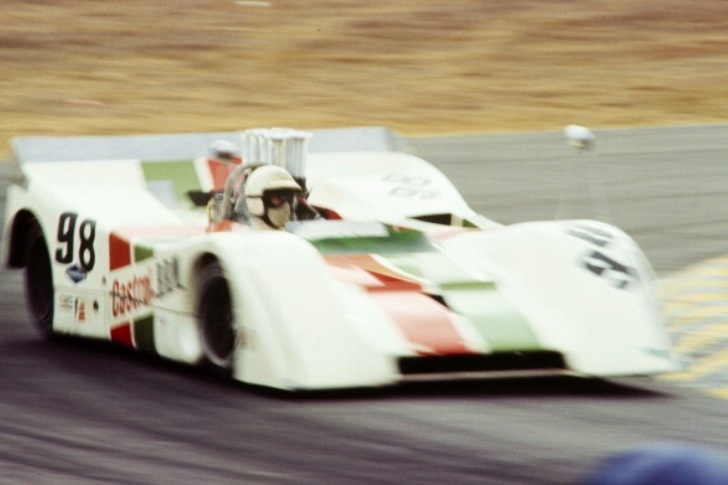 The LC2, 9 of which were built, warrant a feature article, for now this is a quickie, in 3 years of competition the team won 3 races of championship status. 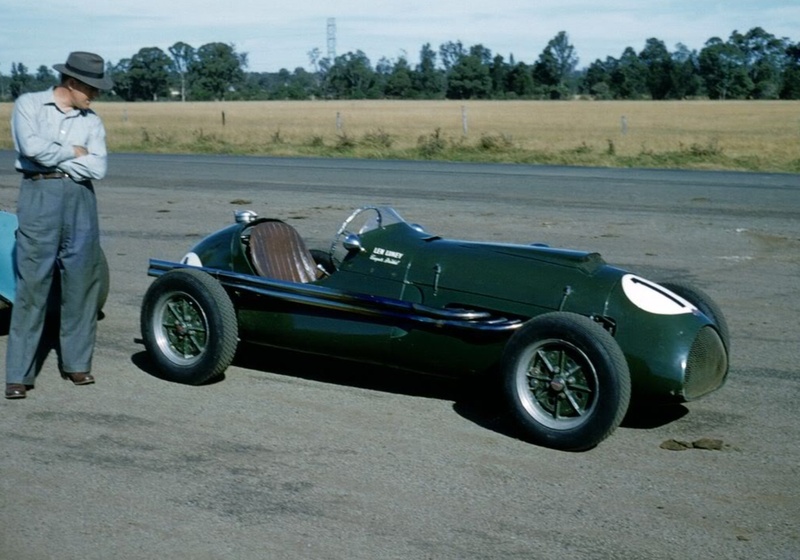 It’s just before the 1966 German Grand Prix, Jack won the race in his Brabham BT19 Repco on 7 August from John Surtees and Jochen Rindt aboard Cooper T81 Masers. 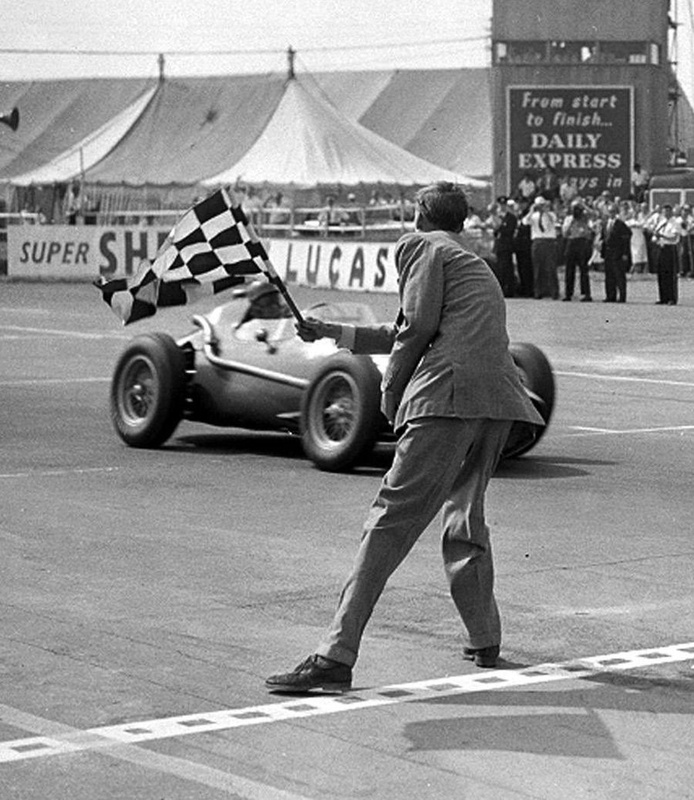 Jack was right in the middle of the mid-season purple patch which gave him the title; from 3 July to 7 August he won the French, British, Dutch and German GP’s on the trot. 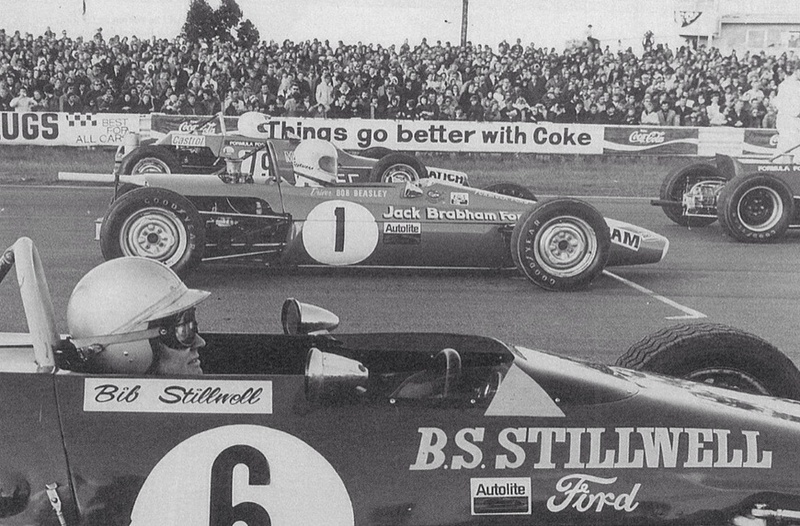 Goodyear were a very important part of Brabham Repco’s win that year. 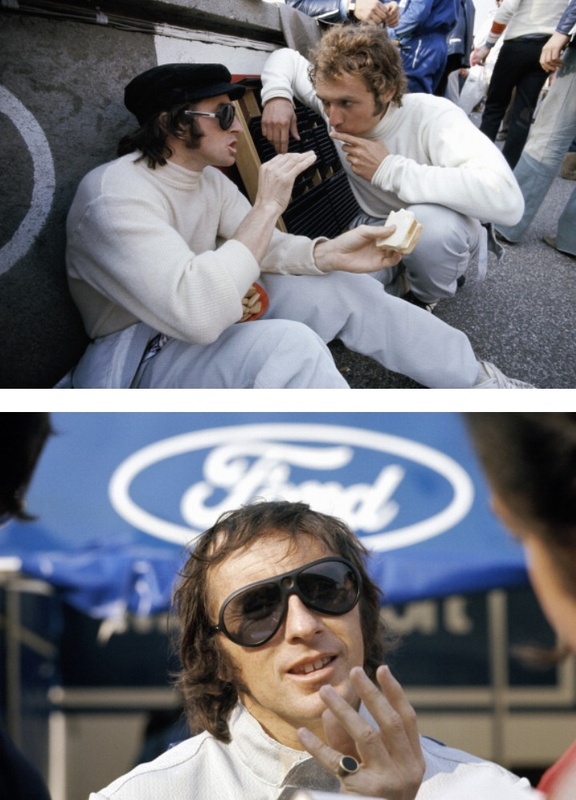 Jack was in F1 with them from their start in F1, 1965, and was still winning races with them in 1971. Bob Jane was always a clever promoter, the champion racer/entrepreneur and Calder circuit owner decided upon a ‘Race of Champions’ amongst the Australian aces of the day to get a few more bums on seats at his 15 August 1971, cold and chilly winter meeting. Look at the crowd! 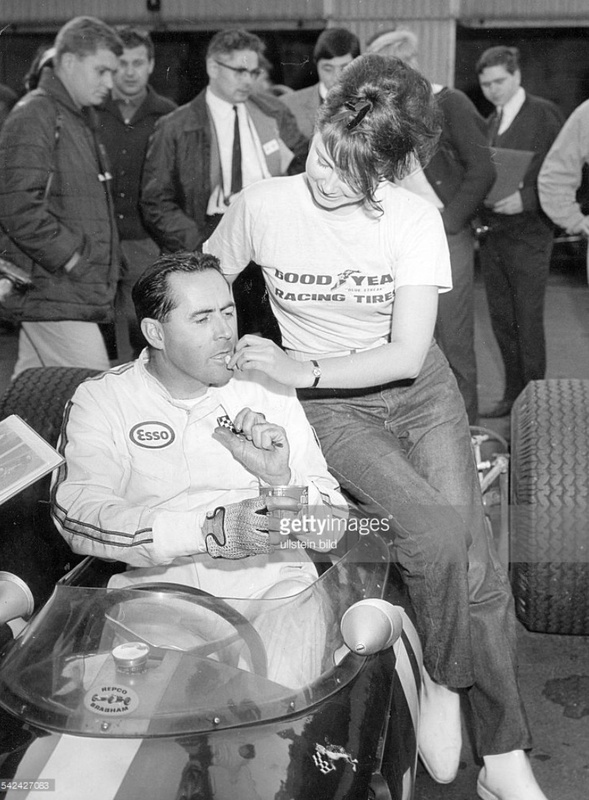 The just retired, for a while anyway, Jack Brabham was happy to accept the invitation to compete. 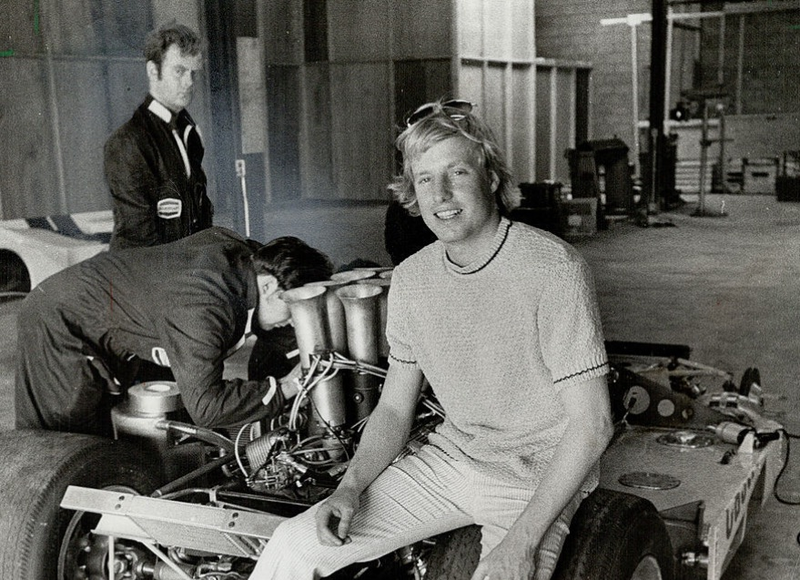 It just so happened his Ford Dealership in Sydney sponsored Bob Beasley in a Bowin P4 in that years ‘TAA Driver to Europe Series’, the national Formula Ford championship. 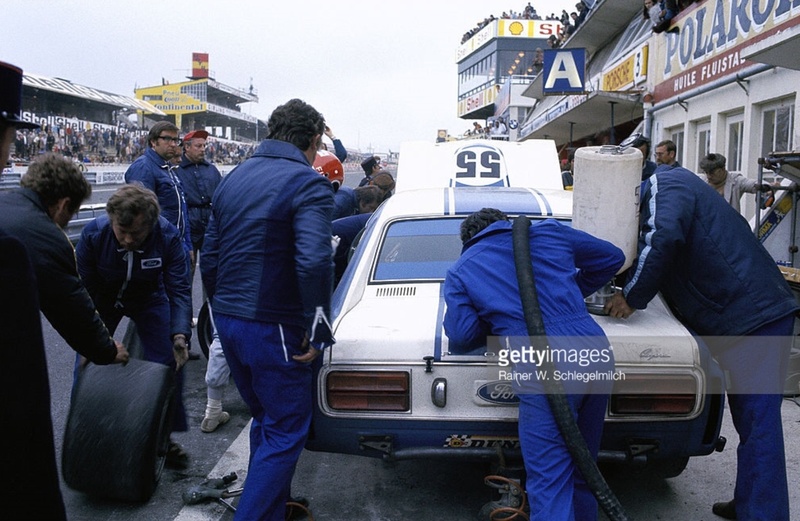 The field included Kevin Bartlett, Alan Hamilton, Allan Moffat. 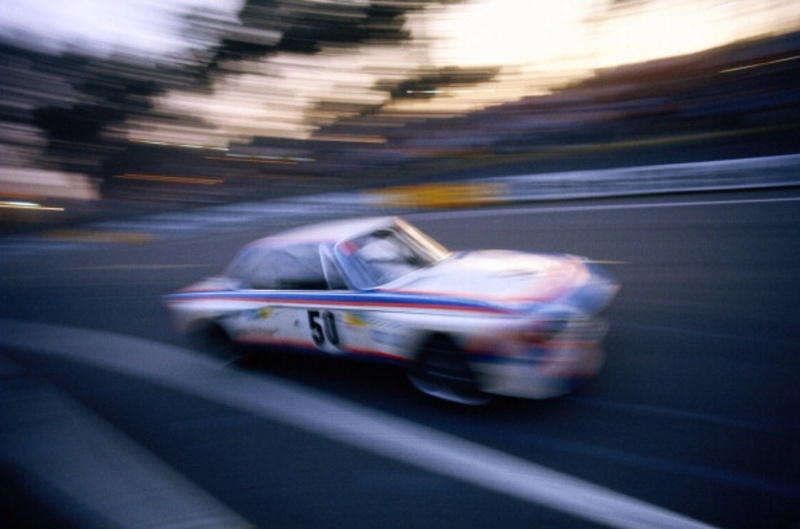 Pictured here is Bib Stillwell in the car in which Larry Perkins won the 1971 Driver to Europe title, then Jack and Frank Matich in Elfin 600, Bowin P4X and Aztec FF respectively. Pps: Love the neato Repco Brabham sticker on the cockpit screen of Jack’s car! 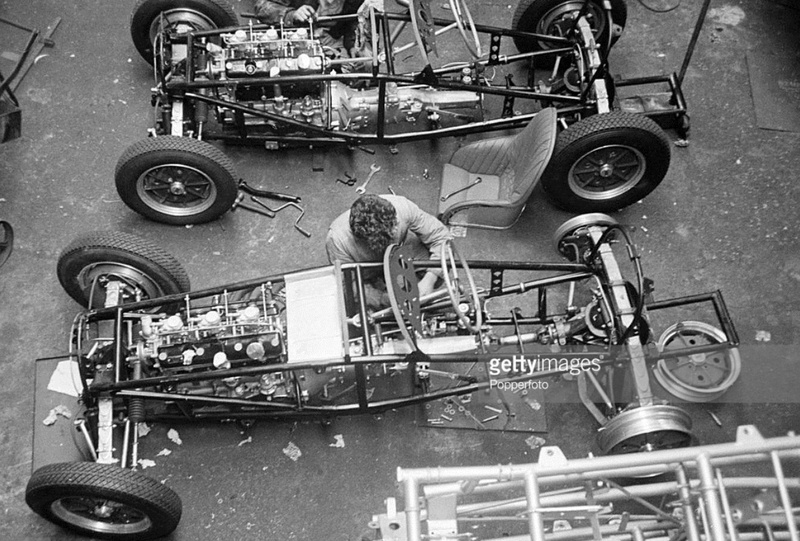 Tony Southgate’s new design was a very competitive machine, after the teams disastrous 1969. 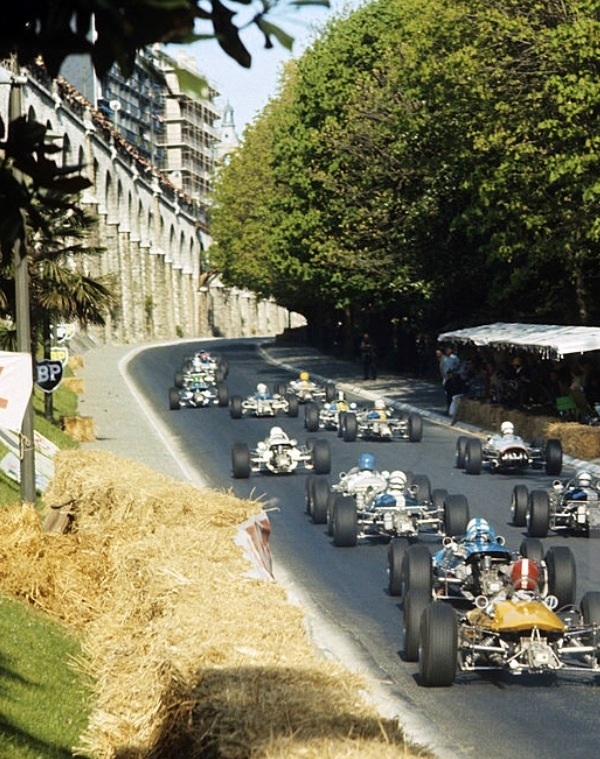 Pedro Rodriguez won a classic Spa duel in the P153 with Chris Amon in 1970 but Eaton, the Canadian racer struggled to get the best from it in his only fullish F1 year. 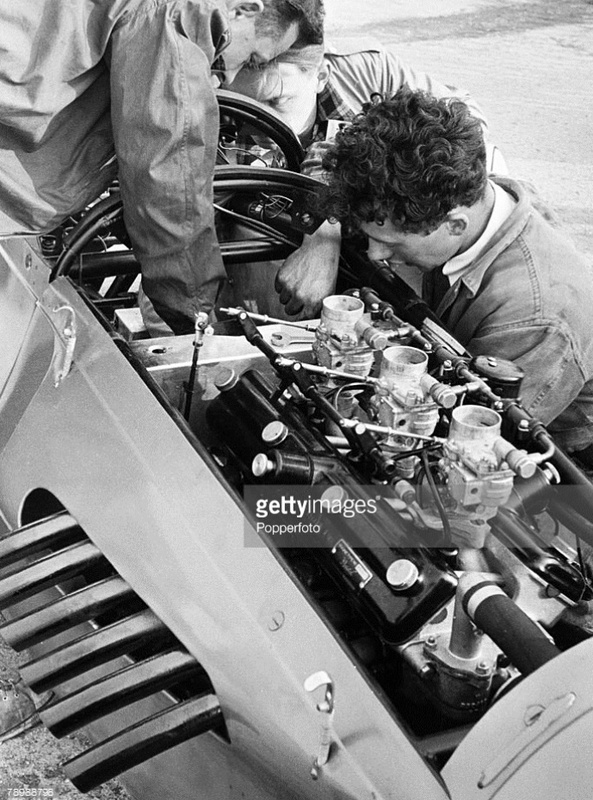 Looking objectively at his results in Grand Prix racing, the wealthy young heir to the Eatons Department Stores empire didn’t appear to have what it takes at the absolute elite level, but comparing his and Pedro’s performances in the Can Am BRM P154 Chev later in 1970 perhaps puts things in a slightly different perspective. Eaton started racing in a Shelby Cobra in 1966. He raced a Chev Camaro at Daytona in 1967 and soon bought a McLaren Elva Mk3 Chev Can Am car in which he contested the USRRC and the Can Am Series in 1967. 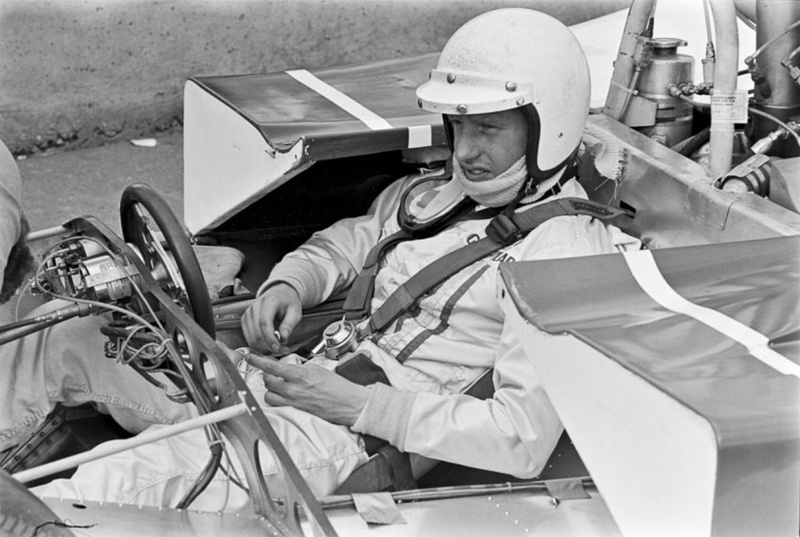 In 1968 he bought a McLaren M1C Chev, his best result was a 3rd place at Laguna Seca, in the wet, in 1968. 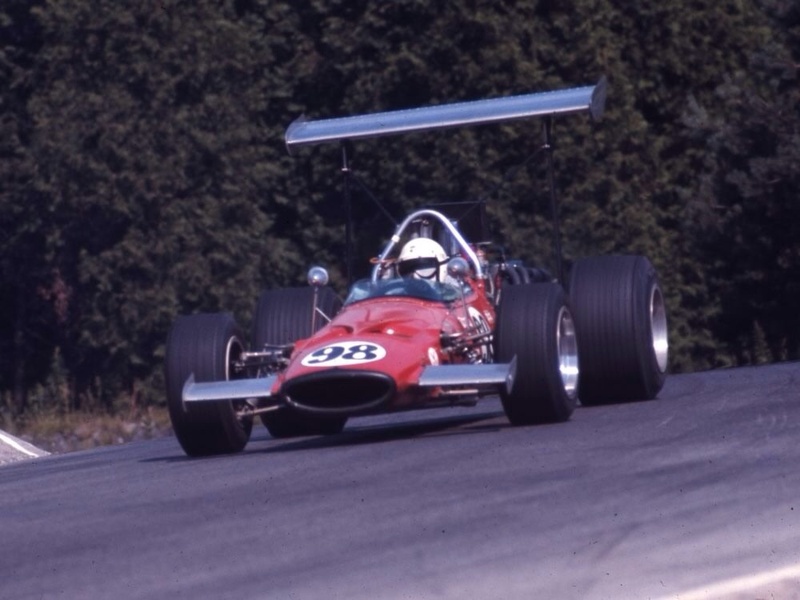 In 1969 he took a big step up contesting both the Can Am with a McLaren M12 Chev and the US Formula A, nee F5000 Championship in a McLaren M10A Chev, the ‘ducks guts’ chassis to have that year. His best Can Am races in the M12 were a 2nd at Texas and 3rd at Edmonton but he was quick, consistently qualifying in the top six all year. In FA, in fields of some depth he raced in most of the US rounds, 6th at the Shaefer GP his best. He contested only four of the Canadian rounds taking a good win at Mont Tremblant in May. 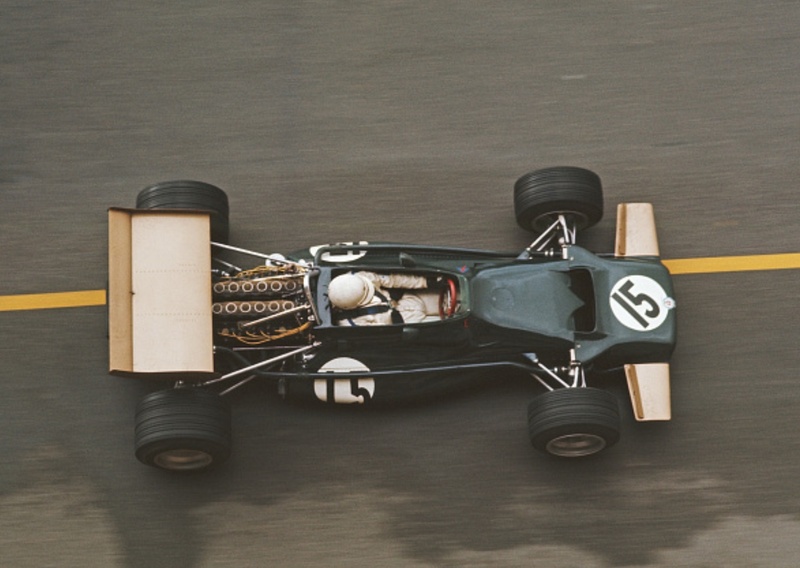 Off the back of these results he was offered drives in the F1 BRM P138, a ‘roughy’ of a car, in the US and Mexican GP’s in late 1969, retiring from both after qualifying last in both. 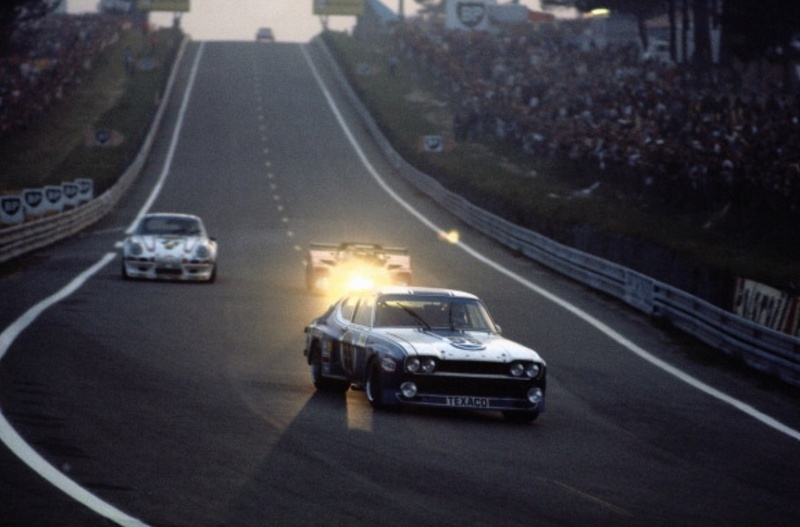 Hardly the basis upon which to extend a contract for the following season, but that’s exactly what Lou Stanley offered George for 1970- a drive alongside the quick, unlucky Jackie Oliver and the blindingly fast Pedro Rodriguez. Eaton had a terrible F1 season, Pedro made the P153 sing. 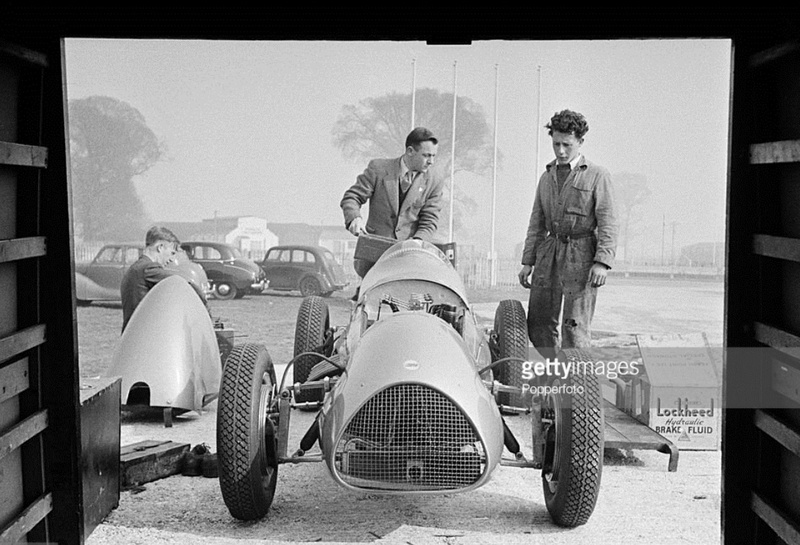 Oliver was quick but seemed to have all the engine unreliability, whilst George, probably not getting the best of equipment, was slow on the circuits which were unfamiliar to him and the car unreliable. He qualified best in his home, Mosport event, 9th, outpacing Oliver and finished 10th. He qualified 14th at Watkins Glen and again retired but otherwise didn’t qualify higher than 14th with DNQ’s in Spain and Monaco. 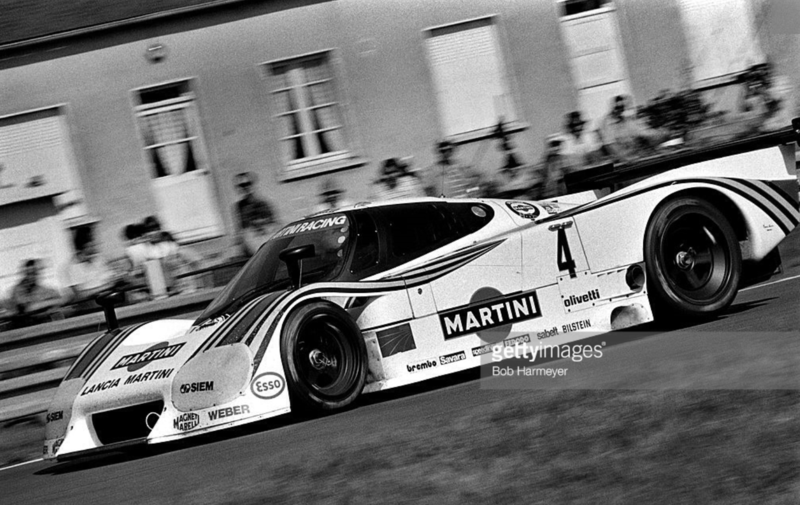 Eaton’s pace was put into better perspective when compared with Pedro Rodriguez, his team leader and undoubtedly one of the fastest five blokes on the planet at the time, in Can Am cars. So, George appears to have had Pedro’s speed if not consistency in Can Am cars noting there was a veritable gulf between the pair in F1. Nobody ever suggested these 700bhp Can Am roller-skates were easy-peasey to drive, interesting innit?! Maybe Eaton should be given a little more credit for outright pace than he is usually accorded. He was not just a rich pretty-boy. 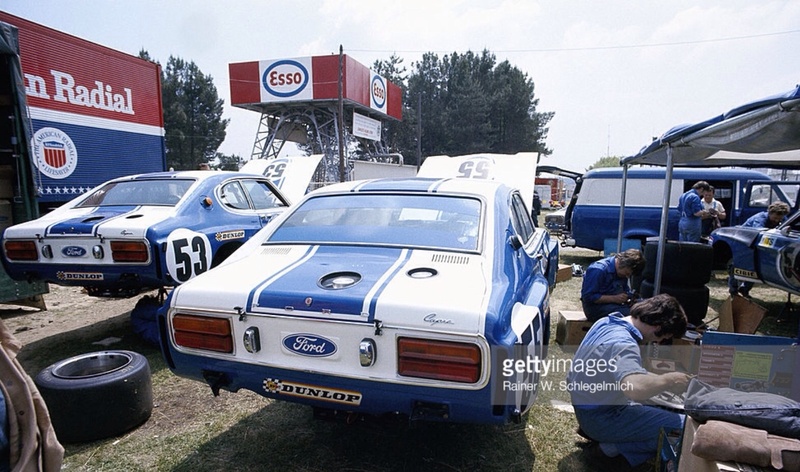 Before Pedro arrived to drive the other P154 chassis Eaton started the season at Mosport with Q7 and DNF with oil leak and transmission problems. At St Jovite he was 3rd having qualified 9th. To Watkins Glen Q13 and brake failure, Edmonton Q6 with a wheel bearing failure. The car had little pre-season testing some of these problems are indicative of that. At Mid Ohio he had fuel pressure problems which outed him, the dramas resulted in Q25. His results for the last three races are listed above in the comparison with Pedro. 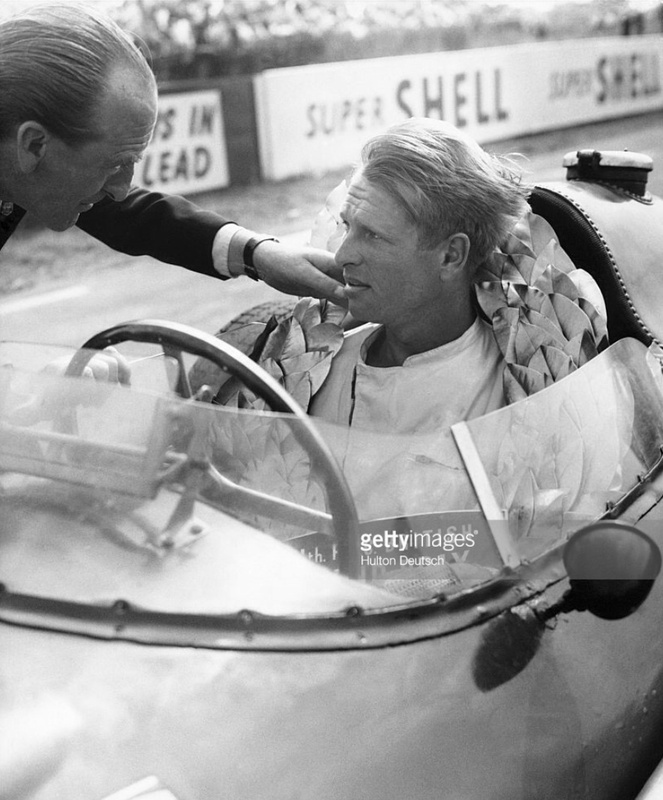 Further perspective on Eaton’s performance is provided by Pedro’s opinion of the car, the Mexican had been ‘around the block’ in terms of experience of big cars since his ‘teens and driven some horrid ones, the Ferrari’s he raced in 1968 and the BRM’s in 1969 prime examples. Pedro visited Tony Southgate after racing the P154, Southgate recorded in his book ‘Pedro raced the car later in the season and afterwards came to see me in my office at Bourne to talk about the experience and told me in its present form the car was horrible to drive. I had great admiration for Pedro, so I knew it must be really bad. I was very embarrassed and immediately set about re-engineering it and fixing all the problems. 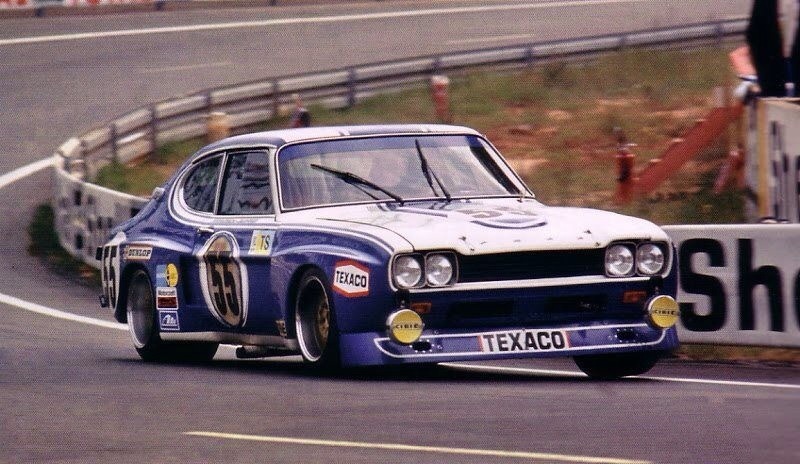 The revised car, the P167 went on to be very good in 1971 but it was still a low budget operation’. 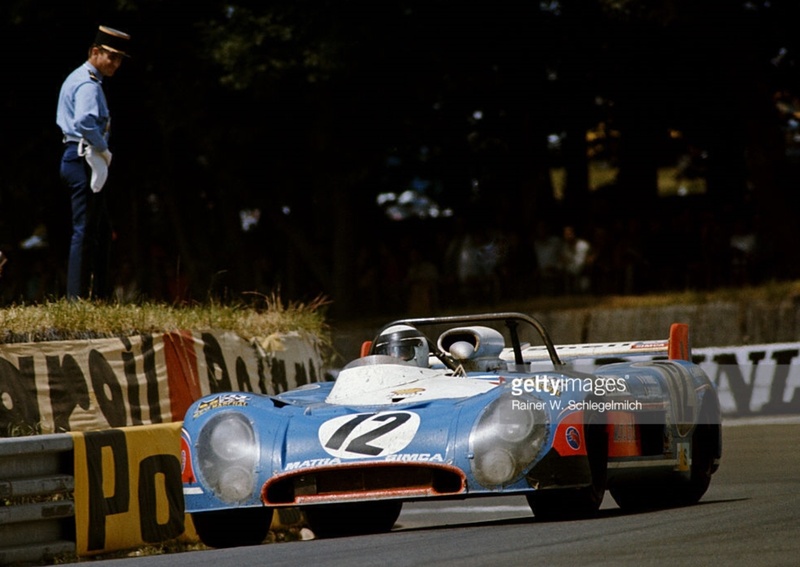 The BRM Can Am program was minimal in 1971, two events plus Interserie races for Pedro at Zolder and wins for Brian Redman at Imola and Hockemheim, after Pedro’s death at the Norisring in a Herbert Muller owned Ferrari 512M. 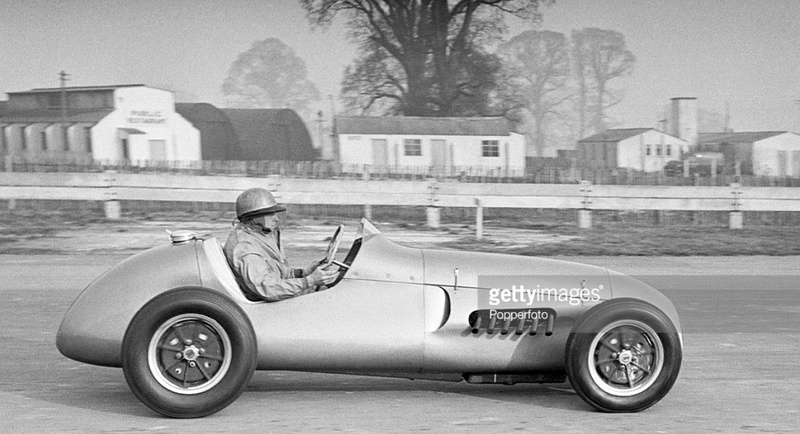 In terrible irony Pedro took the Muller ride only after a testing engine failure in the P167 meant he could not race the BRM and therefore took the Ferrari drive. 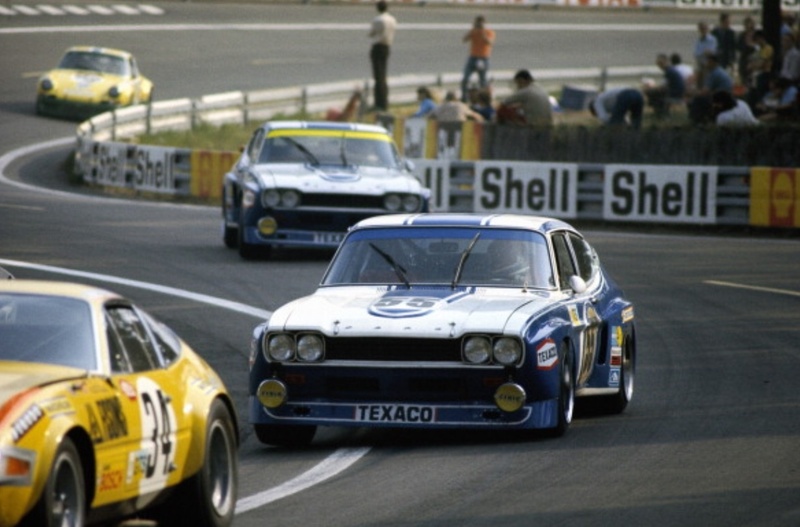 Brian Redman raced the P167 at Laguna to 4th, and Howden Ganley the same chassis at Riverside to 3rd, proof positive that progress had been made. 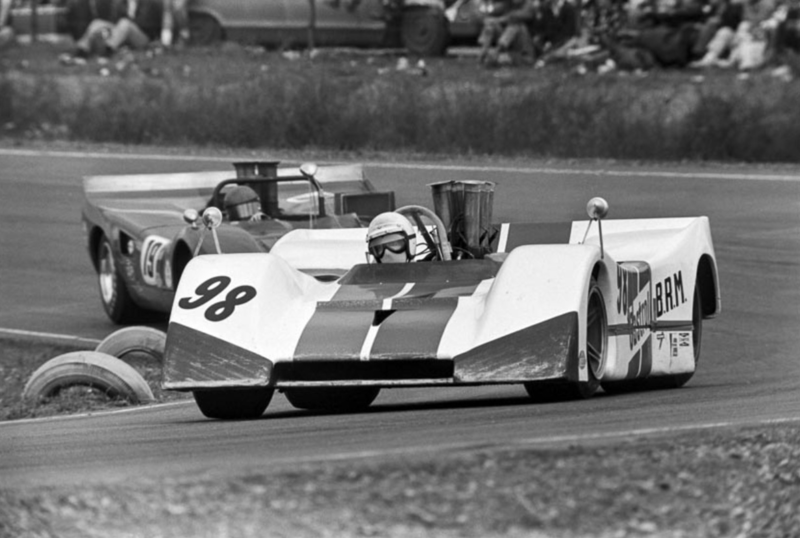 But Bourne were not in a budgetary position to offer George another Can Am season in 1971, one he deserved. 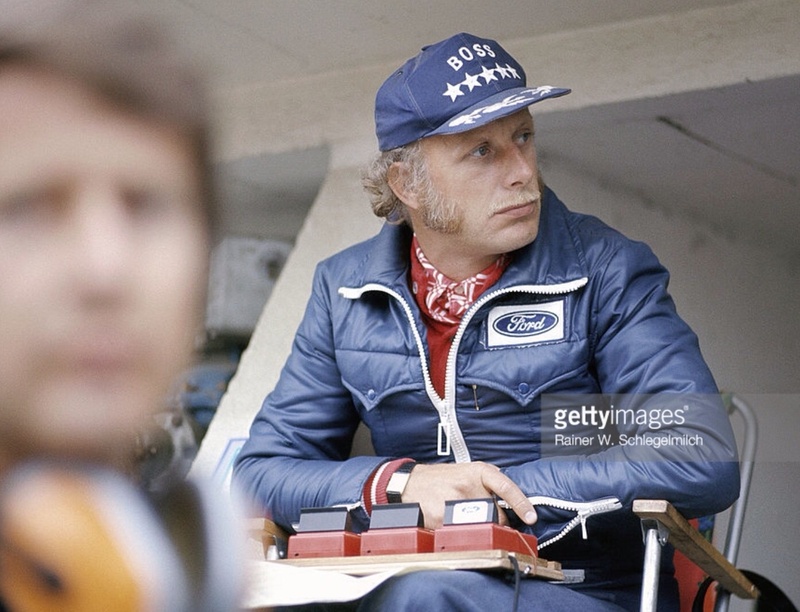 Another season in F1 was a different thing, he had not done enough to keep that seat. As it was BRM were very competitive in F1 in 1971, Siffert and Rodriguez both taking a win apiece before their untimely deaths. 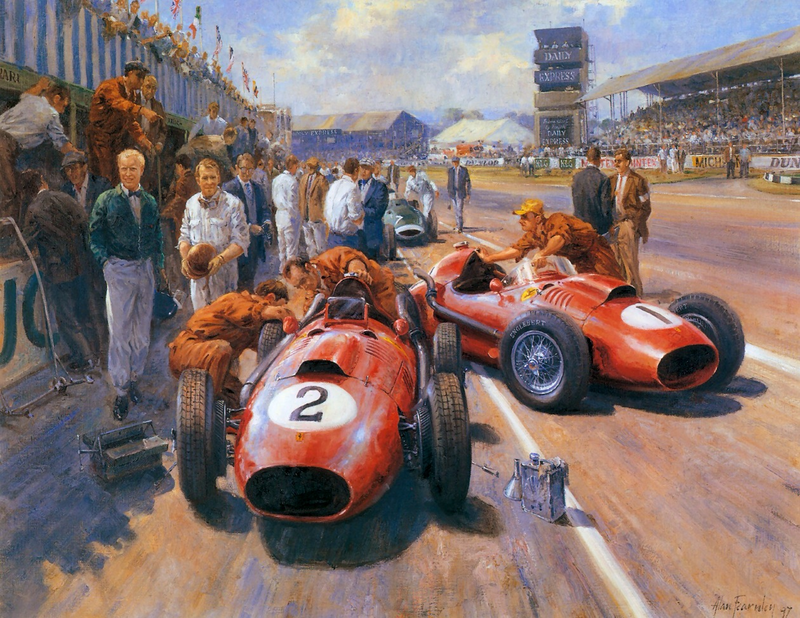 Peter Gethin took another at Monza in the drive of his life in one of THE great GP finishes. 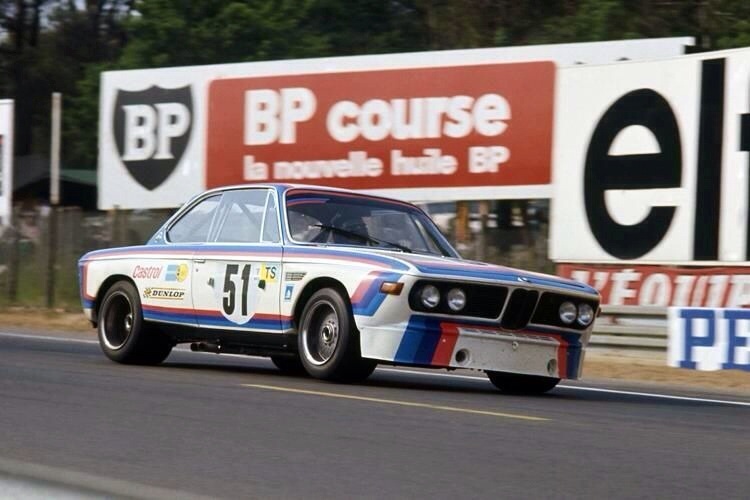 Into 1971 and 1972 George raced in endurance events although he was invited to guest drive a P160 BRM in the ’71 Canadian Grand Prix, qualifying 21st, slowest of the four BRM’s entered, he finished 15th.